Buying a new laptop or pc can be confusing with so many types, speeds, sizes available. The following will help you decide what you require. What do I need a Laptop or Computer (Desktop)? Mobile. You can go anywhere you want to and still have access to a computer. Great for presentations for work. This is the greatest benefit of a laptop. Network connectability on the run. 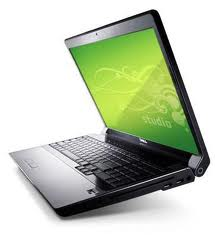 With a laptop you can connect with Wireless network on the move. Useful for presentations, or demonstrations. Easy to lug around. Space-saving – even if you’re a hermit, there are advantages to having a portable PC. They take up less space on your desk, which means more space in your home or office. Maintenance is difficult. You usually have to hire a professional if something breaks or goes wrong. Since the parts for a laptop need to be smaller this also makes them more expensive. Repairs cost more. Since repairs need a professional they usually cost more, for the service as well as for the parts. Everything is smaller. Meaning if you want to use a full size keyboard you have to plug in an extra keyboard, which means you have to carry around a bulky keyboard. Same for a monitor or other external devices. Easy for someone else to pick up and carry off without your knowledge. More bang for the Pound. 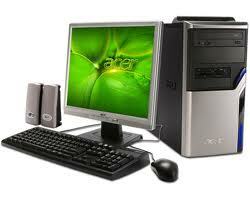 If you like to play games, or are a gamer, then a desktop will be the best option. You can get better graphics, better monitors, faster processors, etc. Everything is bigger on a desktop so there is plenty of room to put in some nice features without sending up the cost. Cost less. A desktop will usually cost you less money for the same or (almost always) better components. Easier to use. Let's face it, with a desktop you can purchase a nice keyboard, mouse, desk, etc built for comfort. Easy to upgrade. A desktop is much easier to remove or add components to than a laptop. Easy to keep track of. In other words, someone has to break in to get it. More memory and Hard Drive space. The memory capacity and hard drive space are usually much greater (and cheaper) than for a laptop. Laptops are certainly catching up with desktops in terms of power and performance. In fact, we’re reaching a point where only specialists, like video editors and graphic designers, benefit from high-end computers. Hopefully by answering and thinking about the points above you will be able to make up your mind. 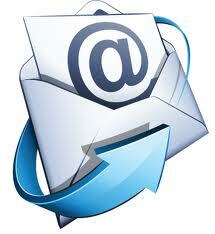 In addition you may want to print out your letters, pictures etc. I would recommend that you purchase a wireless printer so that you are able to place the printer in a convenient place not necessarily next to your laptop or pc. Printers are relatively cheap with many supermarkets having special offers on them.